After covering a major tragedy such as a mass shooting, it’s helpful for editors and reporters to review their work. What did they do well? What were their shortcomings and oversights? How did their coverage impact audiences, communities and victims’ families? And just as important: How can the newsroom do a better job next time? Unfortunately, in the case of mass shootings, some news outlets might have to deal with a next time. To help guide newsrooms in their conversations about how they cover mass shootings, we’ve gathered a sampling of research that examines news coverage from several angles, including how journalists portray shooters of different races. We’ve included two published studies that look at how The New York Times covers mass shootings and which factors — for example, the location of a shooting or the perpetrator’s motivation for killing — affect how much time and resources the Times dedicates to each event. Duxbury, Scott W.; Frizzell, Laura C.; Lindsay, Sade L. Journal of Research in Crime and Delinquency, 2018. Three researchers from Ohio State University examined news coverage of mass shootings to see how journalists portray perpetrators of different races. A key finding: Stories about white or Latino shooters were much more likely to suggest that mental illness was to blame than stories involving black perpetrators. 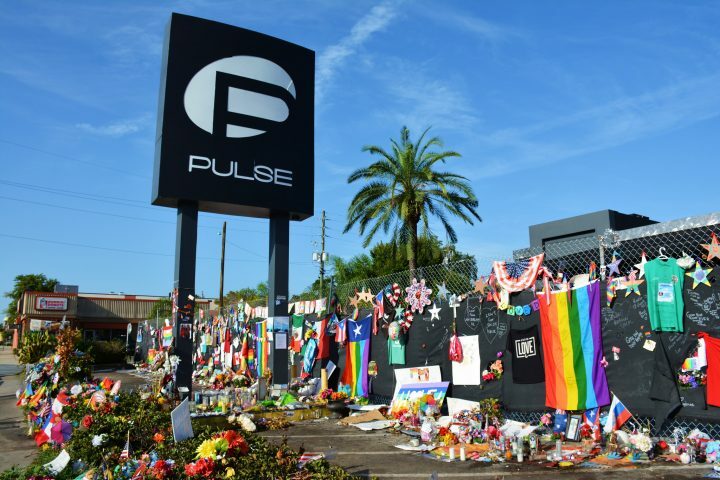 The researchers analyzed news articles written about mass shootings between January 1, 2013 and December 31, 2015. They used News Bank and Lexis Nexis to conduct a national search for articles that mention or allude to the race of the perpetrator and the motive or an explanation for the killings. The researchers only examined shootings with four or more victims, excluding the perpetrator. The research team also discovered that when journalists reported or insinuated that a white shooter was mentally ill, they tended to “establish the offender as a good person suffering from extreme life circumstances.” This happened only sometimes when the shooter was Latino and almost never when the shooter was black. Levin, Jack; Wiest, Julie B. American Behavioral Scientist, 2018. Jack Levin, a professor emeritus at Northeastern University, and Julie B. Wiest, a sociologist at West Chester University, conducted an electronic survey of 212 adults, aged 35 to 44 years, to gauge their interest in reading different kinds of news coverage of a school shooting. They found that people were much more interested in reading a story that focused on the actions of a courageous bystander than those focusing on the shooter or his victims. Nearly 73 percent of participants chose to read the hero story after the first paragraph. Meanwhile, 55.7 percent chose to read the story that focused on the killer beyond the first paragraph. Of those assigned to read the article that focused on the victim, 52.2 percent opted to read past the first paragraph. The researchers note that coverage focusing on courageous bystanders could prompt positive copycat behavior. “If the copycat phenomenon applies to increasing the prevalence of mass killers, why would it not also apply to increasing the prevalence of heroes who take an active role in ending a mass murder?” they write. The researchers also found that people who reported feeling anxious or afraid that they or someone they love could become victims of a mass murder were more interested in reading stories about mass shootings than individuals who said they felt little or no fear. Levin and Wiest write that their findings provide lessons for journalists. Dahmen, Nicole Smith; Abdenour, Jesse; McIntyre, Karen; Noga-Styron, Krystal E. Journalism Practice, 2018. This study, led by faculty at the University of Oregon’s School of Journalism and Communication, examines journalists’ attitudes about news coverage of mass shootings in the U.S. Among the main takeaways: Journalists, by a small margin, agreed that coverage is “sensational” and most agreed that the way newsrooms cover these events “is an ethical issue.” Meanwhile, journalists generally did not acknowledge a connection between mass shooting coverage and copycat shooters — a connection found in previous research. The researchers surveyed 1,318 journalists from newspapers with a circulation of 10,000 or more, asking them how strongly they agree or disagree with certain statements. About 50 percent of the people who participated were reporters while almost 26 percent were editors, 14.5 percent were photographers or videographers and 2.4 percent were columnists. Sixty percent were men and 89.4 percent were white. Nicole Dahmen and her colleagues find that age is a powerful predictor of how journalists feel about mass shooting coverage. “Older journalists held a more favorable opinion of the state of mass shooting coverage, more strongly supported coverage of perpetrators, and were less receptive to the idea that mass shooting coverage is an ethical issue,” they write. They also discovered that editors had a more positive view of coverage than reporters and photographers and that white journalists had a much higher opinion of it than journalists of other races. “Non-white respondents were more likely to be critical of mass shooting coverage,” the researchers write. Schildkraut, Jaclyn; Elsass, H. Jaymi; Meredith, Kimberly. Journal of Crime and Justice, 2017. For this study, researchers analyzed one large national newspaper’s coverage of mass shootings to see how factors such as victim counts, the location of a shooting and the shooter’s race affect the newsworthiness of each event. Here’s the gist of what they learned: “Race/ethnicity and victim counts are the most salient predictor of whether or not a shooting was covered, with perpetrators of Asian and other descent and those events with higher victim counts generating more prominent coverage (measured as higher article and word counts), whereas incidents occurring in locations other than schools yielded less coverage,”they write. The research team, led by Jaclyn Schildkraut of State University of New York at Oswego, examined The New York Times’ coverage of 90 mass shootings between 2000 and 2012. The team only included mass shootings in which victims and locations were targeted at random or “for their symbolic value.” Researchers excluded shootings connected to gang violence and militant or terrorist activities. The team found considerable variation in coverage. For nearly 78 percent of shootings, coverage was limited to fewer than five articles. Half the shootings received fewer than 1,500 words. Almost 60 percent of all the articles the Times printed about mass shootings during this period focused on five incidents: the attempted assassination of Congresswoman Gabrielle Giffords in 2011 and shootings at Virginia Tech in 2007, the Fort Hood military base in 2009, Sandy Hook Elementary School in 2012 and a Century 16 movie theater in Aurora, Colorado in 2012. Schildkraut and her colleagues found that when the shooter was Asian or from “other” racial groups — a category that includes Middle Eastern, Indian, Native American and multiracial people — the Times published more and longer stories about the incident than when the shooter was white. The analysis also revealed that shootings occurring in the Northeast garnered more attention than those in the South, which, historically, has tended to be more violent. Silva, Jason R.; Capellan, Joel A. International Journal of Comparative and Applied Criminal Justice, 2018. This study also looks at the New York Times’ coverage of mass shootings, but over a longer period – 50 years. Jason Silva of the John Jay College of Criminal Justice and Joel Capellan of Rowan University analyzed 3,510 articles written about 314 mass shootings that occurred in the U.S. between 1966 and 2016. For the purposes of their research, they defined a mass shooting as “an incident of targeted violence where an offender has killed or attempted to kill four or more victims on a public stage.” Gang-related shootings were excluded. Silva and Capellan also found a lot of variation in the Times’ coverage. Three quarters of the shootings drew little coverage – fewer than four articles and fewer than 4,028 words each. Meanwhile, 68 percent of all articles the newspaper wrote about mass shootings during those five decades focused on 15 incidents, starting with the University of Texas tower shooting in 1966. The Columbine High School shooting in 1999 received the most coverage of any of the shootings, followed by the Sandy Hook shooting in 2012. The Times published a total of 503 articles about the Columbine massacre and 248 on Sandy Hook. Some of the other big takeaways: Massacres at schools, government buildings and religious institutions got more coverage than those occurring at businesses. Shooters of Middle Eastern descent received more coverage than shooters of other races. For example, the Times covered 90 percent of shootings involving a Middle Eastern perpetrator, 74.3 percent of shootings with a white perpetrator and 60 percent of shootings with a Latino perpetrator. Shootings motivated by ideological extremism were much more likely to be covered than those that were not. Looking for more research on mass shootings? Check out our roundup of research on gun violence, mental illness and firearms background checks. We’ve also pulled together research on how school shootings impact student achievement and what schools are doing to prevent gun violence. If you’re looking for reporting tips, read these 7 things journalists should know about guns. This photo, taken by Walter and obtained from Flickr, is being used under a Creative Commons license. No changes were made.